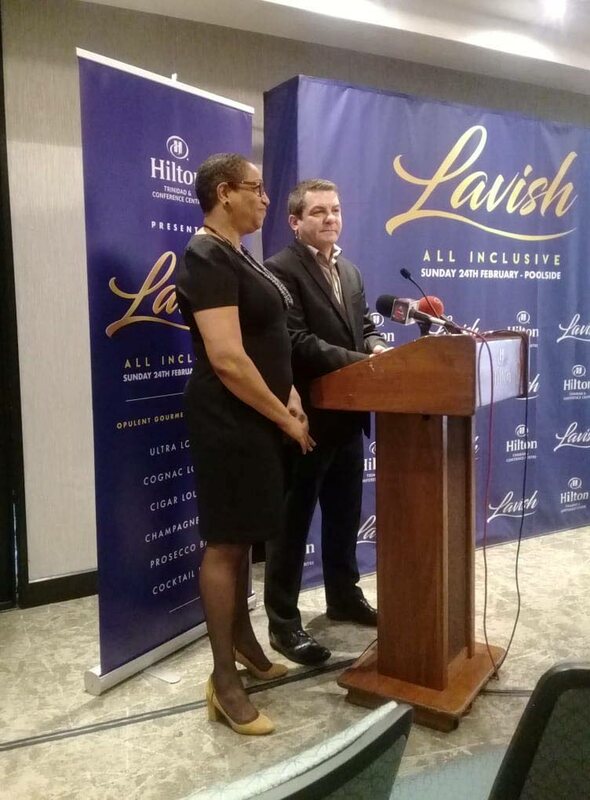 Darlene McDonald, left, Hilton Trinidad’s director of sales and marketing with general manager Oliver Maumaire, right, address the media at the launch of its 2019 all-inclusive fete, Lavish at the hotel, Lady Young Road , Port of Spain. 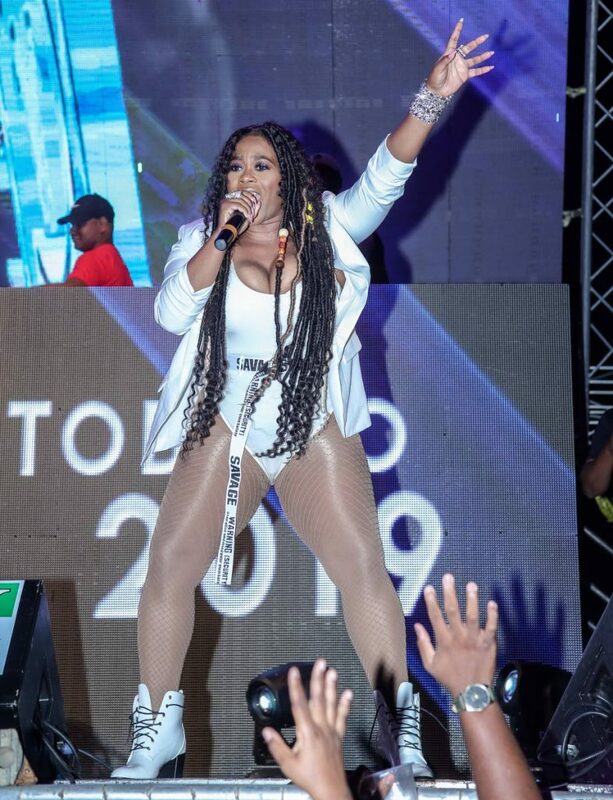 He hopes that more history will be created at its 2019 all-inclusive fete, Lavish. The fete was officially launched yesterday at the hotel, Lady Young Road, Port of Spain. Lavish will take place on February 24 at the newly-renovated Hilton poolside and will start at 5 pm and end at midnight. It has been 11 years since the hotel held a Carnival fete but as the chain celebrates its 100th anniversary, it decided this was one way to not only celebrate its anniversary but also to re-emerge on the all-inclusive fete scene. Maumaire said to media at the fete’s launch that the hotel started, about two years ago, to look back on its legacy and its commitment to the people of the community. “The hotel over the years always served the community and the island...,” he said. Maumaire said the fete coincides with Hilton’s 100th year anniversary as a company in the world. “We also do a series of activities that reflect our commitment to the people,” he said. Nadia Batson is among the entertainers who will perform at Lavish, the Hilton’s all-inclusive fete on February 25. 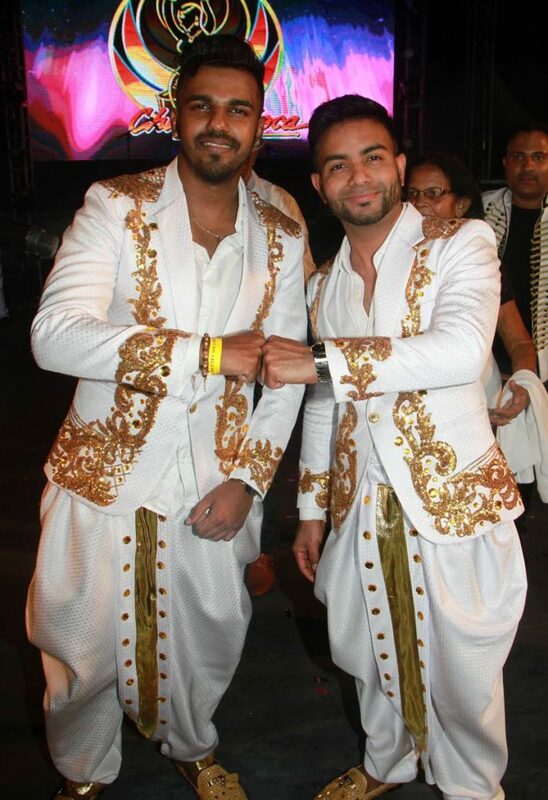 Nadia Batson, Nailah Blackman, SuperBlue, 5-Star Akil and chutney kings Neval Chatelal and Nishard Mayrhroo and are some of the entertainers expected to perform at the fete. Lavish, he added, is going to be all about food and the hotel’s executive chef, Jose Gutierrez and his culinary team will create “a culinary journey to the world.” He said there will be many food options for people to discover and many countries will be represented such as China, Indian, Argentina, Italy and Spain among others. Feters can also enjoy an ultra lounge, cognac lounge, cigar lounge, champagne bar, Prosecco bar and a cocktail bar. Darlene McDonald, Hilton’s director of sales and marketing said that this was the hotel’s way of getting back into the all-inclusive scene. She said the hotel’s first all-inclusive was held in 2003 and then stopped in 2008 when the hotel began its major refurbishment. Asked about the fete given TT’s current economic climate, Maumaire said, “for what Lavish is going to be the ticket is very reasonable...we are in difficult economic times and the economy is not the best. But Carnival is Carnival. Reply to "Lavish…the Hilton way"